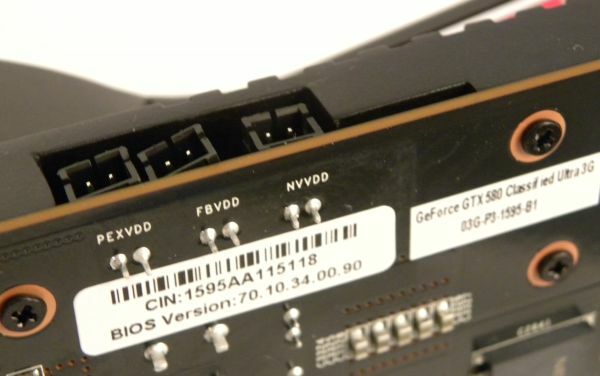 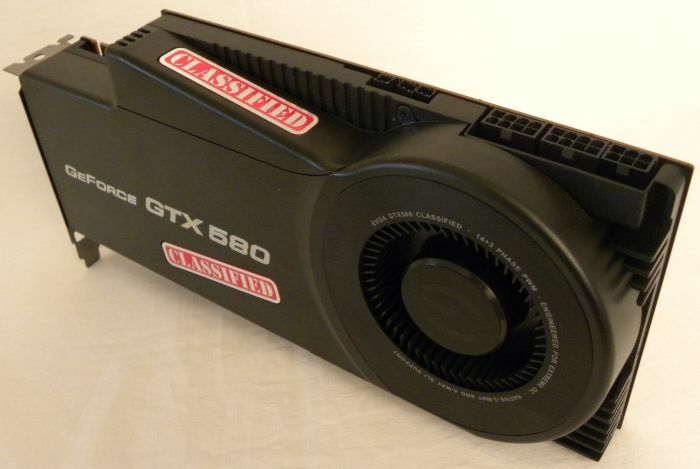 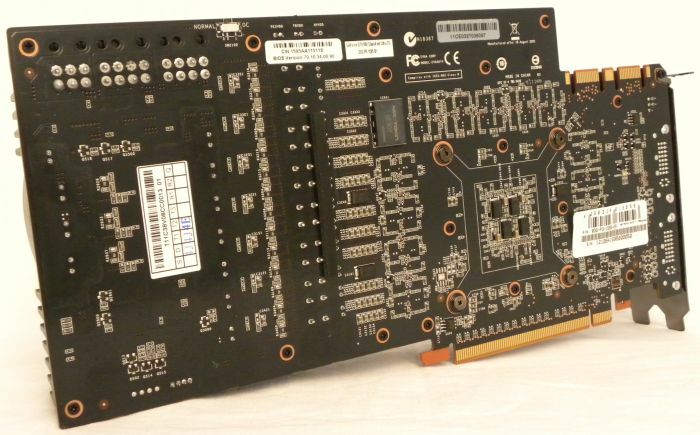 The GTX 580 Classified has three voltage check points: one for the GPU (NVVDD), one for the memory (FBVDD) and one for the PLL (PEXVDD). 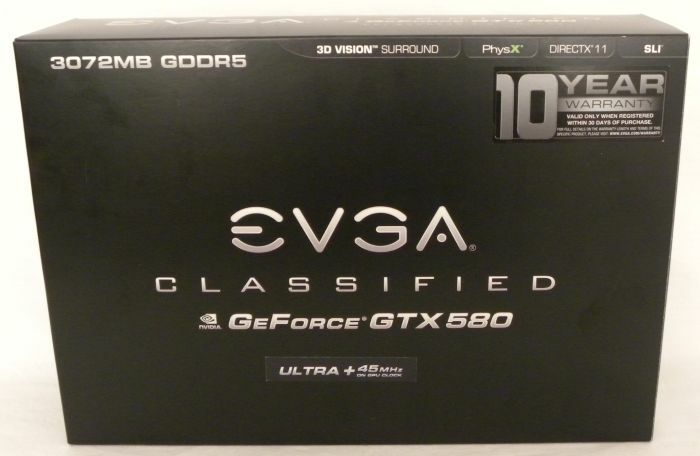 It’s a pity that EVGA does not provide the connectors for these check points. 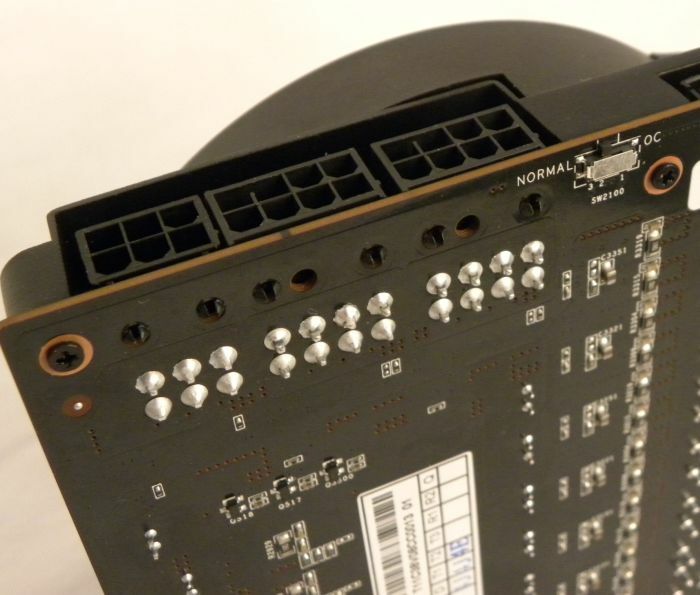 But if you can still connect your voltmeter to the pins on the rear side of the PCB, they are long enough. 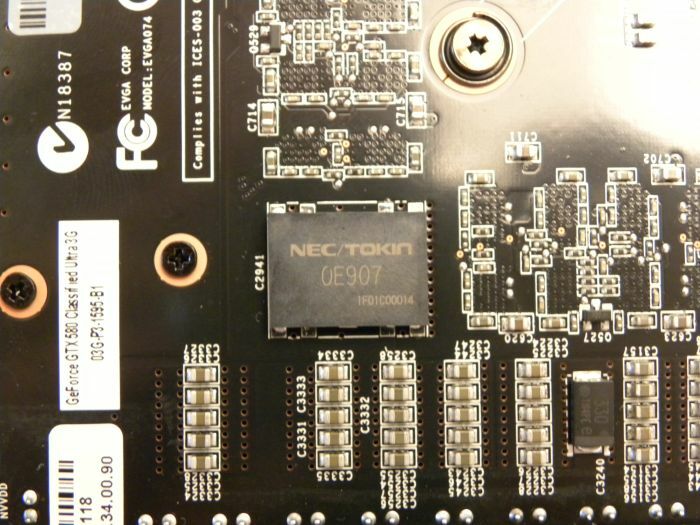 That means that the board can handle up to (75 + 2×150 + 75) = 450W. 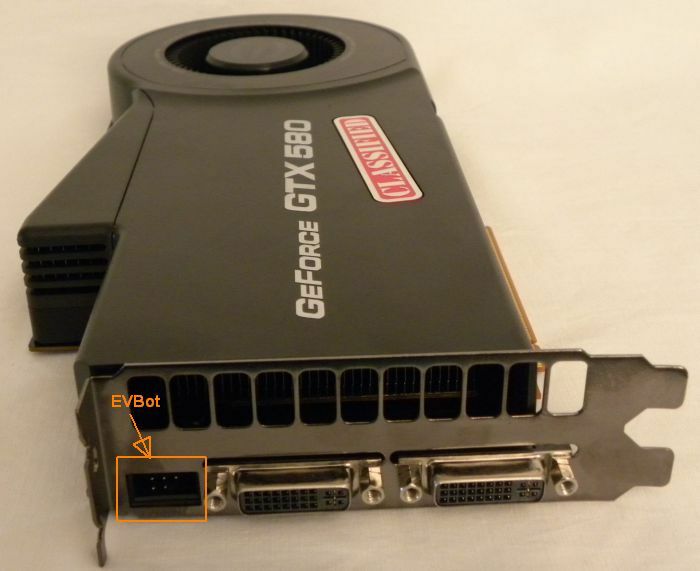 EVBot is used to control GPU voltage as well as other important paramaters. 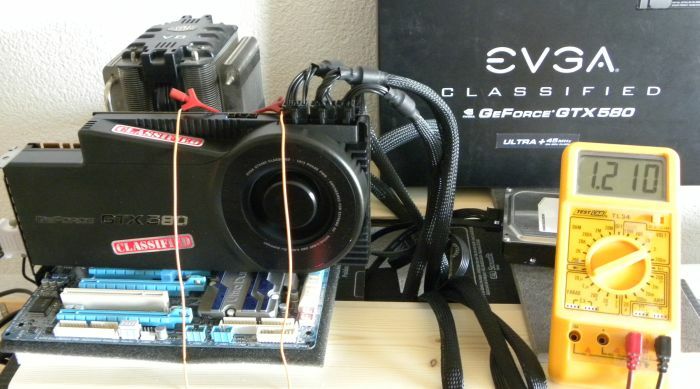 In this review, I only used the card in normal mode, which was enough! 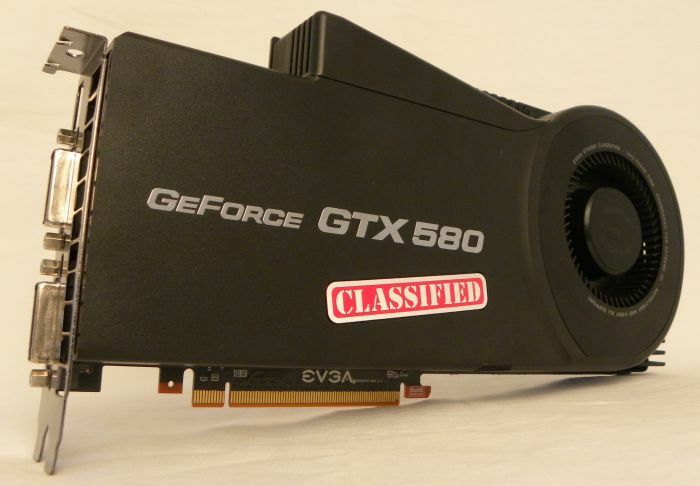 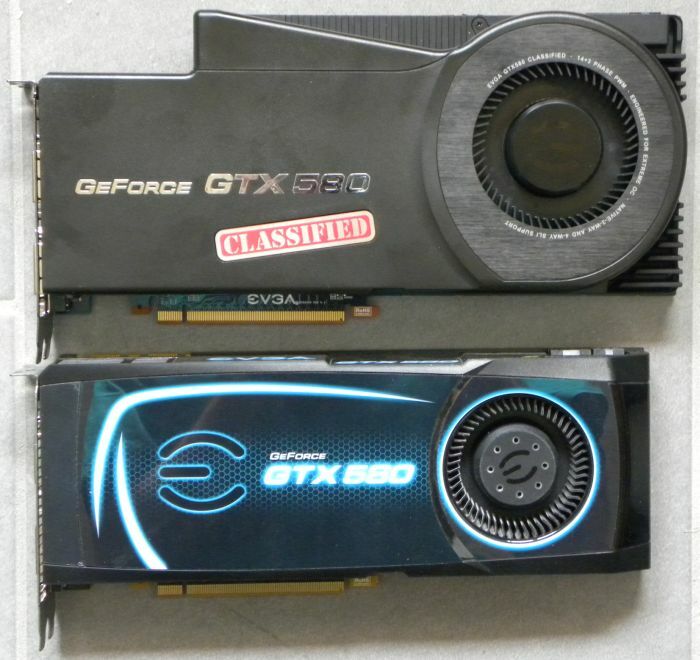 Like the Matrix GTX 580, EVGA uses a big capacitor: a NEC/Tokin Proadlizer film capacitor (Model: 0E907). 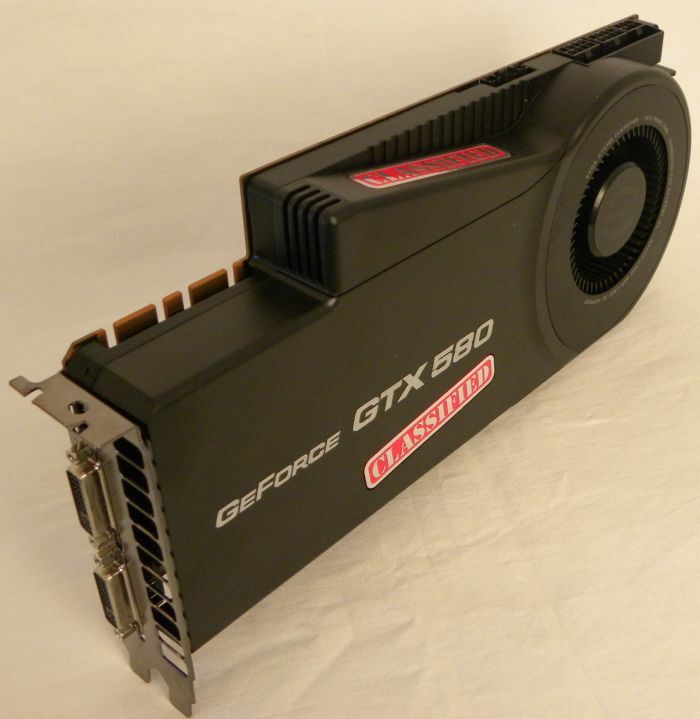 This capacitor (2.5V / 900uF) is used to provide a more stable GPU voltage, which is required with high overclocking settings.